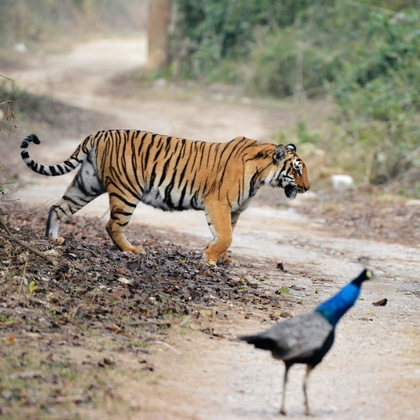 The Corbett National Park is India’s first national park, being designated a national Park in 1934 with the help of Jim Corbett, who helped define the park's boundaries. 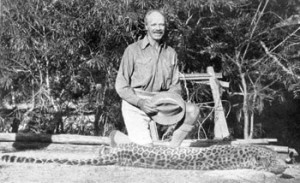 It was only after Jim Corbett's death in 1955 that it was it named after him by Rajiv Gandhi, India's Prime Minister. 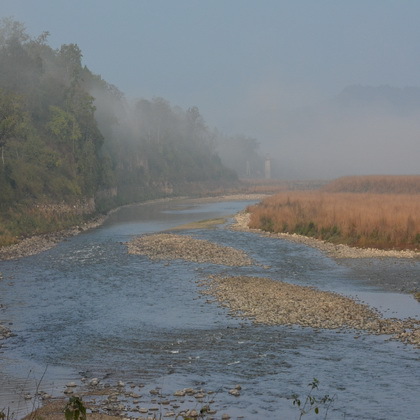 The Corbett National Park is located in the Himalayan foothills in Uttranchal State. The altitude varies from 1200 ft (400m) to some 3, 600ft (1200m). Time to visit is between the 15th November and 15th June each year. 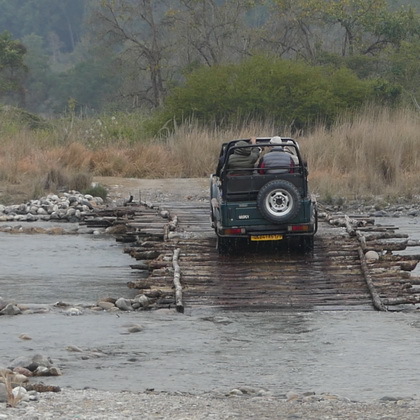 The Corbett National Park is closed during the monsoons as the rivers flood and all the bridges are washed away. The best time to visit is February to May, as the park is drier with the wild animals congregating near water and many of the trees and bushes shed their leaves, making wildlife spotting easier. I first visited Corbett Park in 2006 and I was lucky enough to visit again in 2017 and, I have to say, I believe it has improved dramatically in that time. Our wildlife sightings were much better on this occasion and also the integrity of the parks boundaries have been improved. In 2006 there were many people in the park harvesting leaves and other vegetation for their livestock. This has been stopped. Read a recent visit report here Three day trip to Corbett park.